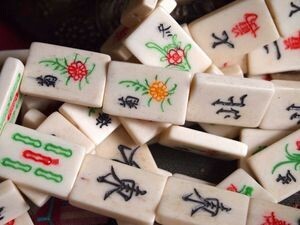 Our new colorful medium bone mah jong tile beads are sold by the 12 bead assorted strand. 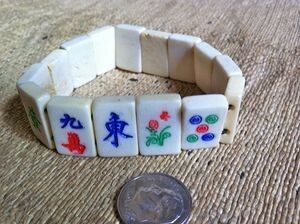 There are six pairs on each strand. The holes are drilled from top to bottom and the beads are two sided. 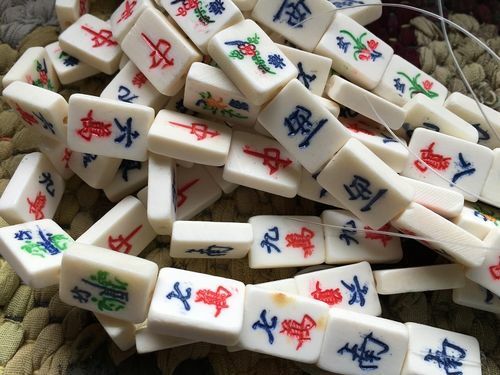 Please note that we do not have all suits, just a limited selection of suits as shown in this medium sized mah jong tile bead which measures 18mm tall by 12mm wide and 5mm thick. 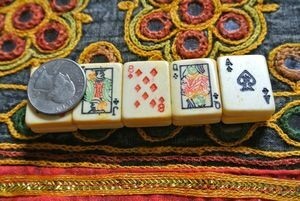 (That is approximately 0.7 inch tall, 0.5 inch wide and 3/16 inch thick.) 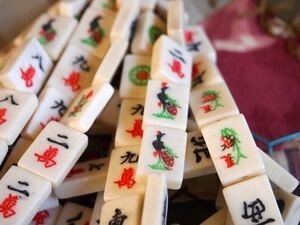 Hole size is approximately 2mm (0.08 inch) in diameter. 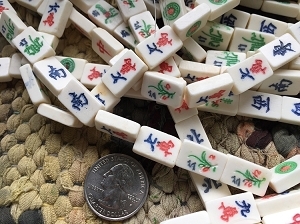 The beads are made of ox bone and are colorfully handpainted in a limited palette of navy blue, green and red (and some yellow, depending on the tile). Please note that they are not all handpainted perfectly. Please be sure to see all of our photos. 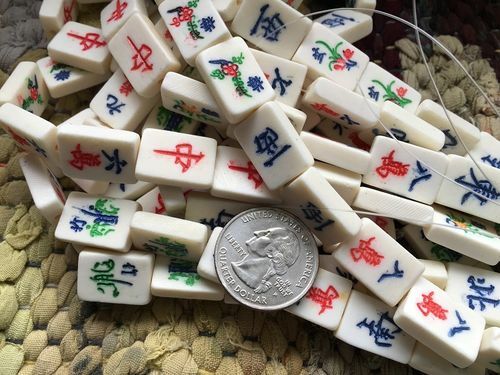 These mah jongg beads have etched, colored designs that are based upon the popular Chinese game but these beads are flatter and smaller than the traditional game tiles and come pre-drilled, making them great for jewelry projects!